Happy Friday everyone! I hope you all had a lovely weekend! I'm so happy the weather has picked up and I can't wait to wear dresses and skirts again. Right now is the perfect time to get rid of all these unwanted leg hairs and transform them back into smooth and silky limbs. In order to avoid this problem as good as possible I've just upgraded to the new Braun Silk-epil 9 epilator and I couldn't be more happy with it. My preferred routine for removing these annoying leg hairs is using an epilator - which allows me not to worry about it for the next couple of weeks (depending on your hair growth). Let me tell you some key facts of my new gadget. It comes with a 40% wider head, which means it removes more hair in one stroke for faster epilation and less pain. The new micro-grip tweezer technology has wider, longer and deeper tweezers which manages to also grab these short little hairs. I'll always start with buffing my legs with the body exfoliation brush which helps to remove dead skin cells and will prevent ingrown hair. Even if I'm not prepping my skin for epilation I like to use this exfoliation brush once a week on my body. You can use the epilator wet and dry and my favourite way is to use it during my bath / shower. It also comes with a shave head which is great for when you are in a hurry. Afterwards I'll always apply a good portion of Aloe Vera cream to my legs (Aftersun will just do fine). Once your legs are silky smooth and ready to go, I love using a shimmering oil / serum on my legs for that little bit of extra shine. 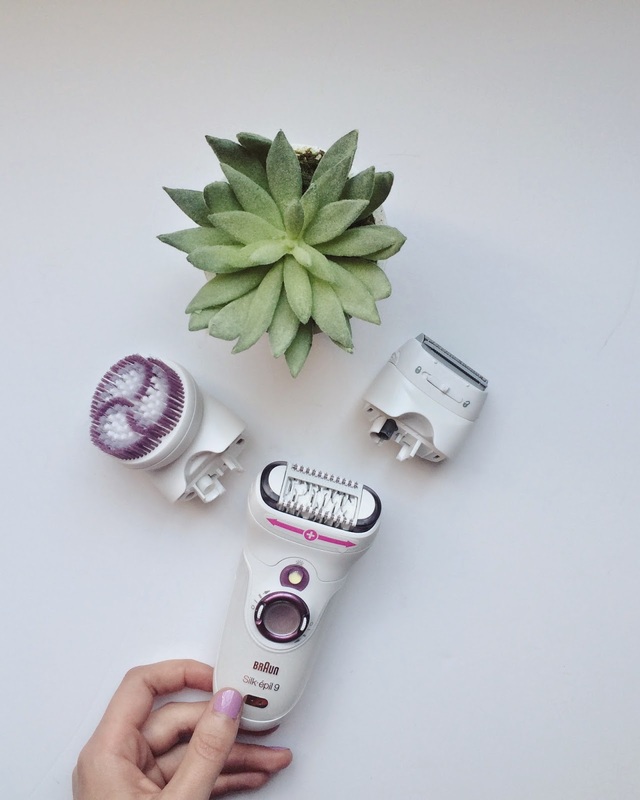 Next to the design and colour of the epilator I love the fact that it comes with a smarthlight, which helps to light up even the smallest and finest hairs. 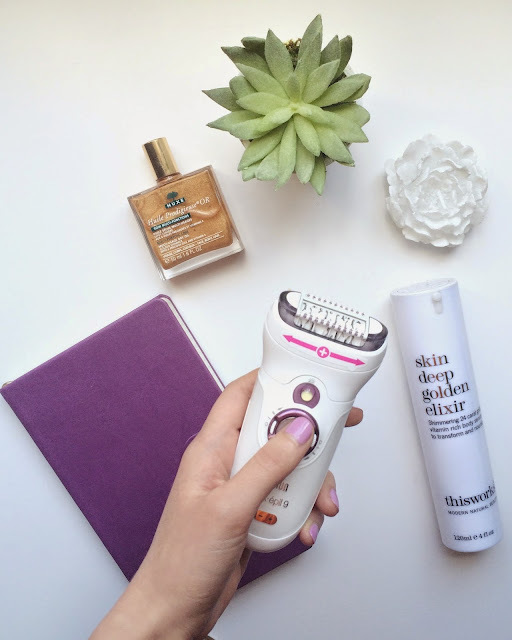 The Silk-Epil 9 epilator is available at Boots. This post is an ad. Sponsered by Procter & Gamble. 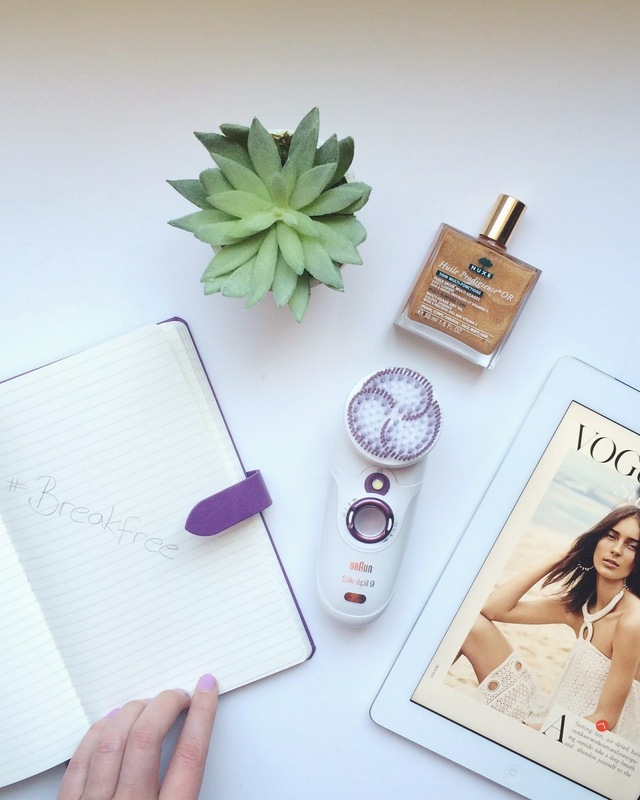 Great write up!Never tried an eplilator before…Always scared it's gonna hurt me!